If you’re looking for that perfectly relaxed winter break, then the Zanzi Resort in Zanzibar, Tanzania could be just the place you’re looking for. 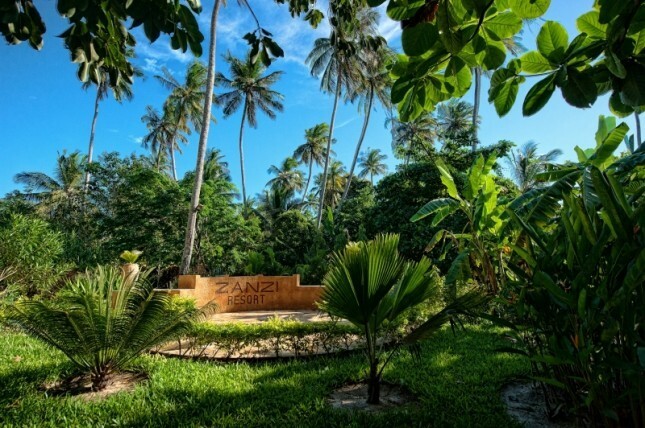 Zanzi Resort is an oasis of low-key luxury on Zanzibar’s beautiful west coast, where the gentle breeze delivers the scent of spices, and the mysteries of an ancient culture surround you. With just seven secluded villas across six hectares of lush tropical landscape beside the warm waters of the Indian Ocean, this is an authentic island escape that’s all about peace and privacy in the most beautiful of settings. The seven luxuriously furnished, air-conditioned villas each consist of a spacious bedroom with a king-size bed, a lounge area and a large en-suite bathroom. Outside each villa there is a private tropical garden with a gazebo-style outdoor bed, private swimming pool, outdoor shower and a path to a secluded beach. A personal concierge is also on call for any additional requests you may have. In 2015 the resort also opened its six garden-view African Eco Villas. Beautifully authentic and made with local wood and clay, these are African in spirit with all the luxury amenities you desire. Outside each villa there is a large terrace with access to the resort’s main swimming pool. All villas and restaurants are designed to seamlessly integrate into the 15 acres of beautiful landscape. Based close to all of the experiences that the island has to offer, make sure you don’t miss out on activities such as Zanzibar’s famous spice tour, the ancient Stone Town, the Blue Safari, tracking in a coconut palm forest and swimming with dolphins in Kizimkazi. This truly is a world of luxury hidden away in the beautiful landscape of Zanzibar.